The Tokaigi Game Party Japan took place over the weekend at Chiba’s Makuhari Messe. Among the many events and activities to partake, a live Rockman 2 concert was held. Hosted by Nico Nico, the concert brought together various indie artists from the region. It's worth a watch (and listen) alone for the closing piano/violin medley (at 26:52). Really fantastic stuff! Thanks for the tip, Kiwi! Just a friendly reminder our Mega Man Legacy Collection 3DS Collector's Edition sweepstakes is almost at an end! You have until February 1st (12:00pm EST) to enter your contact info at this post here. One winner will be chosen entirely at random. I'll contact you if you won! Keep an eye on your inbox - you could get lucky. UPDATE: And that's a wrap! The winner has been contacted. Courtesy of Amazon, here's what one can expect from the currently unannounced Xbox One special edition of Mega Man Legacy Collection. 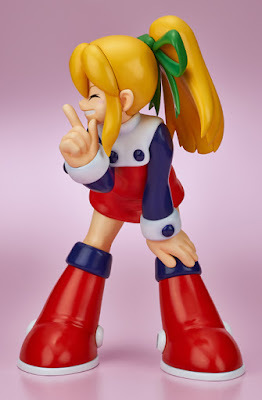 The promised statue is little more than a slightly refined mold of Capcom USA's previous 25th anniversary statue. The E-Tank is a new piece altogether. 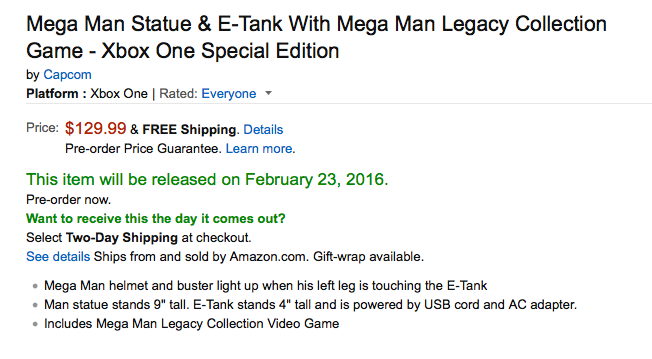 According to the product description, the statue's buster and helmet light up when Mega Man's left leg touches the E-Tank. There's probably a base for the whole kit-and-caboodle, too. As for a PlayStation 4 variant, well, there's been no sign of it yet. UPDATE: PS4 variant confirmed, just showed up. From what we've previously gathered, this bundle will launch alongside the physical MMLC on February 23rd for $129.99 USD. Stay tuned for more info! UPDATE 2: A Capcom rep informed me this bundle is not an official bundle. It's something Amazon put together on their side. 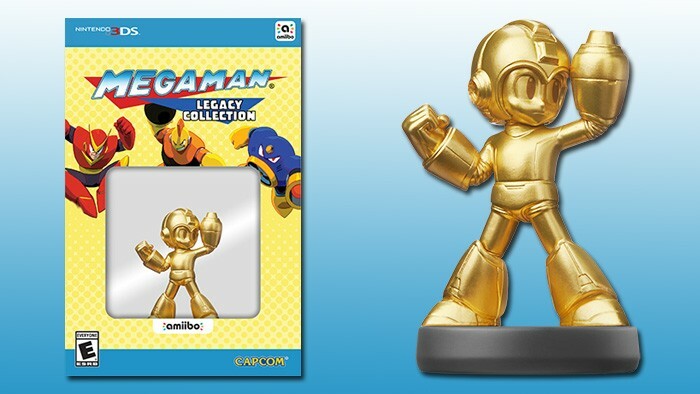 The official Collector’s Edition Capcom is offering is the Nintendo 3DS Collector’s Edition that features the gold-colored Mega Man amiibo. Regardless, we'll keep an eye out for pre-orders. UPDATE 3: Pre-orders are live! This year marks Rockman EXE's 15th anniversary and to celebrate, Capcom are partnering with Asakusa Hanayashiki theme park for a special event. Attendees can get in on a EXE-themed stamp rally, scoop up some exclusive merchandise, and snap some photos with all-new tribute art from Ryo Takamisaki and Miho Asada. Courtesy of Figsoku, here's X-Plus Toys' Gigantic Series Roll in full color. You can see the full set here. The figure stands at 30cm or roughly 11.8 inches. It's expected to retail for 9,504 yen ($80 US). Pre-orders go live in Japan tomorrow with import retailers soon to follow. Pre-ordering directly from X-Plus Toys nabs you a pair of cute keychains! Here are the official "trailers" for the upcoming Mega Man Legacy Collection/Rockman Classics Collection Nintendo 3DS themes. You'll find the second one after the jump! 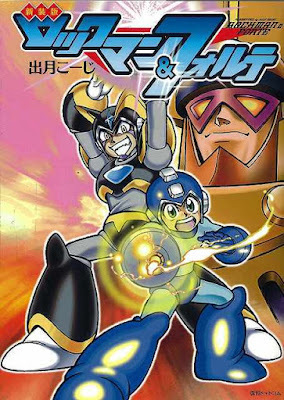 The Rockman EXE and Duel Masters crossover movie hit Japanese theaters in 2005. Today, the two franchises are teaming up once again with an all-new crossover card. 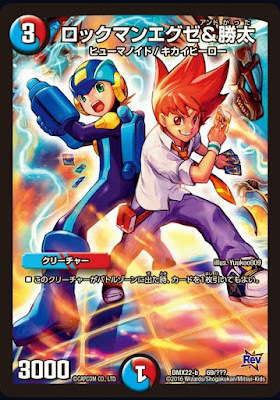 Shown above, the card depicts Rockman.EXE standing back-to-back with Duel Masters' current protagonist Katta Kirifuda. The scene is a deliberate throwback to the film's original promotional poster. The quote on the card translates as "the strongest team is here!" Now, don't get too excited. 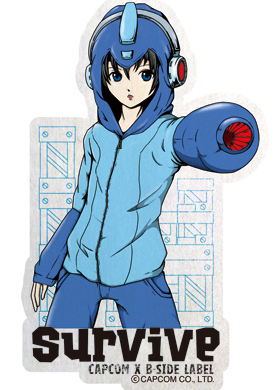 This isn't a harbinger of a new Rockman EXE/Duel Masters movie. From what we've been able to gather, this card is part of a larger promotion between Duel Masters and other popular TV, video game and toy franchises. I mean just look at these: a Mister Potato Head and Phoenix Wright card. Yeah. In any case, it's a little nostalgic to see the two franchises paired again. Should anything more come of it, well, we'll let you know! 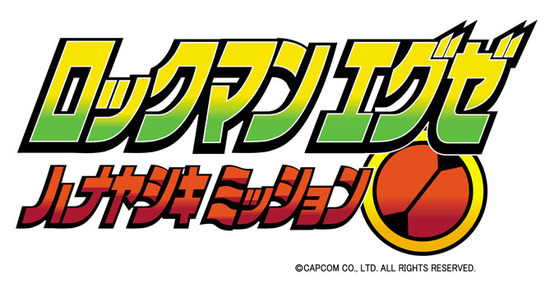 Capcom Japan just rolled out a bevy of Rockman stickers for popular messaging app LINE. Above you can see six of fifteen stickers available for users in Japan. Apparently a few are animated! Though LINE is available internationally, this content is exclusive to the Japanese market. Don't let that stop you from checking out the full set, though! See 'em here. UPDATE: And more here! Thanks, Brian! 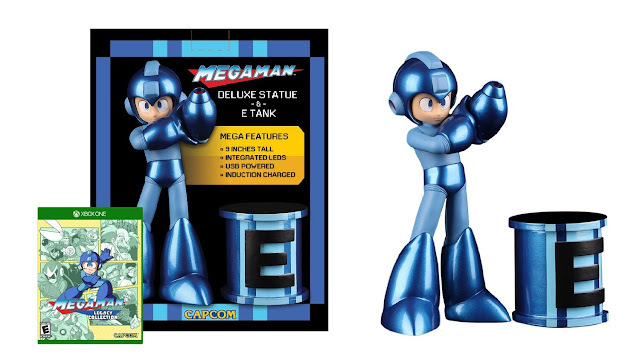 "Limited Edition Mega Man Statue + E-Tank + Mega Man Legacy Collection Video Game. Mega Man helmet and buster light up when his left leg is touching the E-Tank. Mega Man statue stands 9" tall. E-Tank stands 4” tall and is powered by USB cord and AC adapter. Made of ABS Plastic." No images of the product exist at this time, just a few pictures of an unrelated Ryu statue. Hopefully we won't have to wait too long for Capcom to unveil the real deal. Mega Man Legacy Collection Special Edition for Xbox One is slated to launch on February 23rd, 2016 for $129.99. Stay tuned for more details! 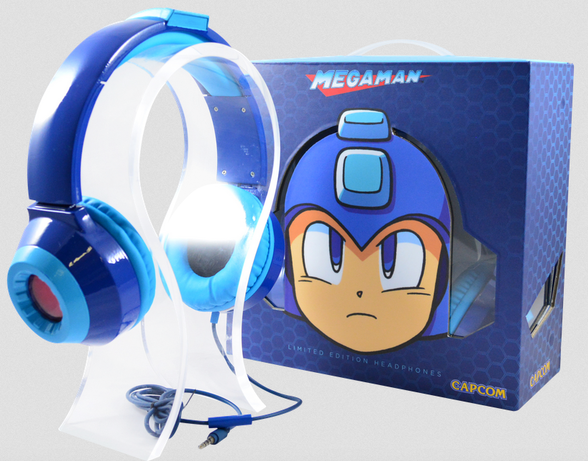 Last week we broke news about EMIOS' Mega Man-inspired LED headphones. Other than the price, little information was available at the time. Fortunately, a pre-order e-mail going out to buyers brings new details to light. Good Smile Company's Nendoroid Mega Man is shipping out to a mailbox near you. While you wait, check out this photo report of the figure in action. 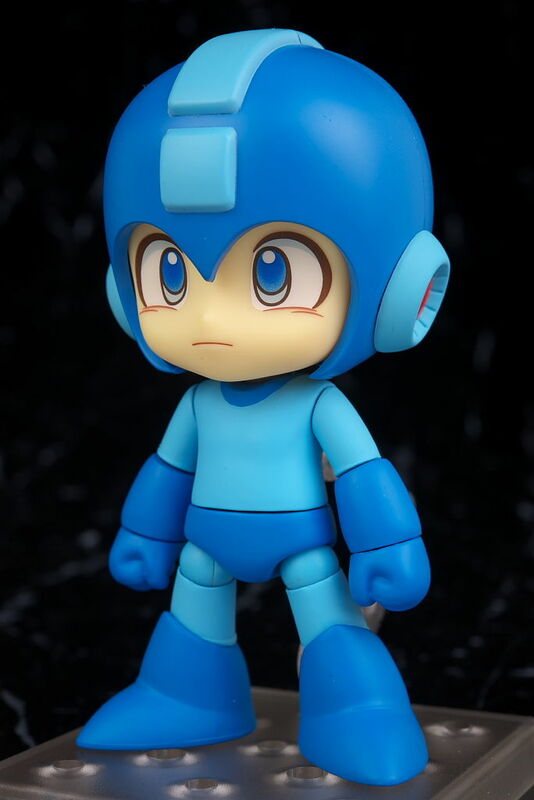 YouTuber Steven Seventyeight has secured an early Rockman X3 prototype. The build is dated August 23rd, 1995; four months before the game's December release. While not terribly earth shattering, we can see a number of small aesthetic differences. The intro cutscene is missing background effects, Blizzard Buffalo's stage has a slightly different background, and the stage select is missing a few key visuals. Keen-eyed fans may spot even more! 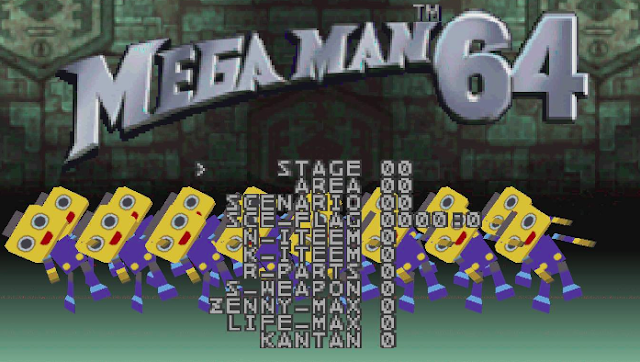 As we've come to learn, Mega Man prototypes often hide even more interesting differences inside the data. Hopefully it won't be too long before this gets dumped! We'll keep you posted. Archie Comics' Mega Man adventures may be over, but the publisher isn't quite done with our blue robot yet. 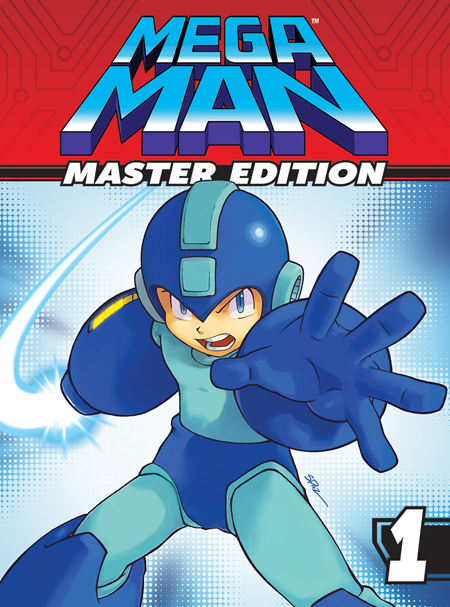 Mega Man: Master Edition Volume 1 chronicles the first three trade paperbacks in one handy book. In case you didn't hear, Mega Man Battle Network 6 Cybeast Falzar and Cybeast Gregar are hitting the European Wii U Virtual Console later today. Both versions can be picked up for €6.99 / £6.29 a piece. As per usual, you can acquire multiplayer-exclusive Battle Chips through the Comms menu. You'll need them to complete your Library. Unfortunately for die hard completionists, the Otenko and GunDelEX chips remain Japanese-exclusive. 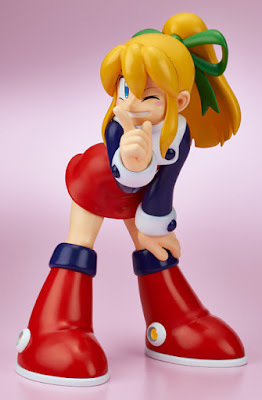 When it comes to random merchandise, leave it to the house that built Mega Man to deliver. 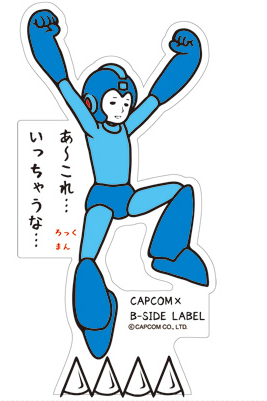 While fans in North America are gearing up for sweet headphones, Capcom Japan are teaming with B-Side Label for some very quirky stickers. Premium artistic stickers. Today, Capcom Japan announced a special collaboration between Mega Man and Monster Hunter X, the latest entry in their breadwinning franchise. Starting February 25th, players can outfit their Palico with "Rocknyan" armor, the Rush Hammer and engage in a "Yellow Devil" event hunt. Special Rockman guild cards and titles will be available as well. View the trailer for the collaboration above. So yeah; I think I found something that hasn't exactly been announced yet. 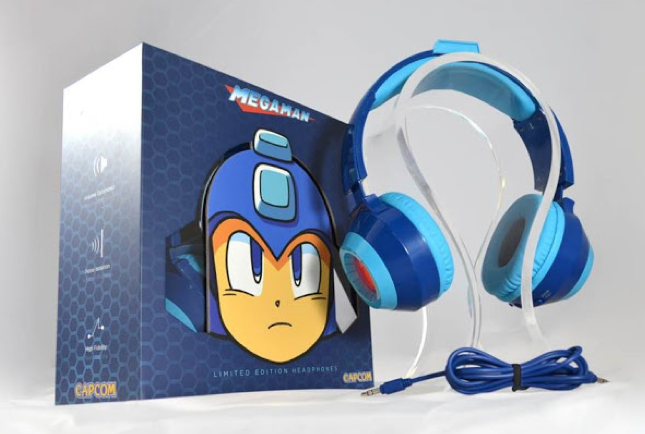 Check out these officially-licensed Mega Man headphones by EMIO. 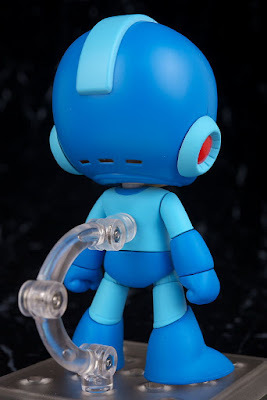 They're styled after classic Mega Man's helmet and feature LED lights. Pretty spiffy, wouldn't you say? You can pre-order these headphones right now for $99.99 USD with free shipping. Before you buy, do note EMIO did not provide audio specs. We don't know how good these actually are. They're certainly neat to look at, though. You'll find more images at the link! Related-ish, EMIO also has Mega Man analog stick thumb grips. Thanks to the efforts of Irregular Hunter Productions, all 51 episodes of Rockman EXE Stream have been translated. Fans can enjoy the 51st and final episode of the show's fourth season in English for the first time! This marks the end of a project that began ten years ago under Hi-C. Hi-C dropped Stream with episode 26, leaving the show in limbo. Irregular Hunter Productions swooped in two years back and rescued it. Not only did they sub previously untranslated episodes, they went back and polished much of Hi-C's work. That's commitment. A big congrats to the team and EXE fans everywhere! Irregular Hunter Productions have their sights on Beast+ next! The leaked eShop listings were indeed on the money. 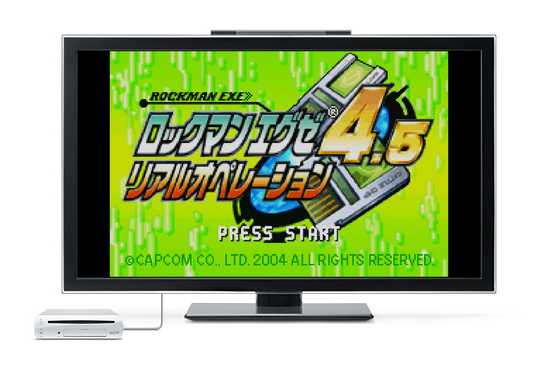 Rockman EXE 4.5: Real Operation is headed to the Japanese Virtual Console next week in Japan, Nintendo announced. The game will be available on Wii U January 13th for 702 Yen. To accommodate the loss of the Battle Chip Gate accessory, players can press L and R simultaneously at the navigation screen to unlock BCG-excluisve Net Navis. Beyond that the game will play the same as it would without the BCG. Let's kick the new year off with a little sweepstakes! 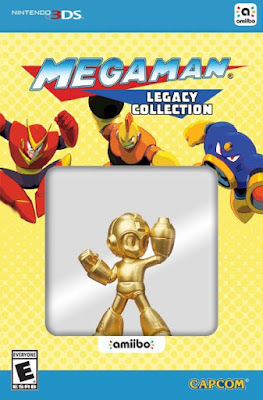 Starting today, you have the chance to win a free copy of Mega Man Legacy Collection Collector's Edition. The rules for this one are simple: leave your contact info in the comments below between now and February 1st, 12:00pm EST. I recommend leaving out '@'s and '.com's'. One winner will be chosen entirely at random. I'll give you a ring if you've won. Shipping is on me, too.